Siblings - how do we support them? They are so often the unsung heros of families! They often are taken to appointments, deal with tricky behaviour and truly understand their sibling with additional needs. We always include siblings in our programs, ensuring they get time and understanding. Some more information on Siblings is listed below. Sibling relationships involving a brother or sister with an autism spectrum disorder can present enormous emotional challenges for everyone involved. This exceptional collection of deeply moving first-person excerpts from interviews with 20 siblings offers in-depth coverage of the issues of paramount concern to typical siblings like establishing boundaries and resentment. A chapter devoted to coping strategies is enhanced by end-of-chapter professional advice on how to maximize the sibling relationship. All Cats Have Asperger Syndrome takes a playful look at Asperger Syndrome (AS), drawing inspiration from the feline world in a way that will strike a chord with all those who are familiar with AS. Delightful colour photographs of cats bring to life familiar characteristics such as sensitive hearing, scampering at the first sign of being stroked and particular eating habits. Touching, humorous and insightful, this book evokes the difficulties and joys of raising a child who is different and leaves the reader with a sense of the dignity, individuality and potential of people with AS. This engaging book is an ideal, gentle introduction to the world of AS. Eight-year-old Quinn, a young boy with Asperger's Syndrome, tells young readers about the achievements and characteristics of his autism heroes. All excel in different fields, but are united by the fact that they often found it difficult to fit in-just like Quinn. 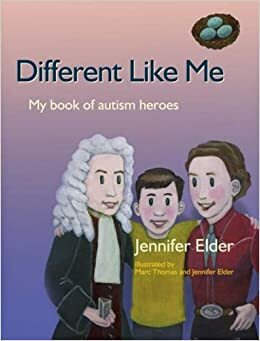 Fully illustrated in colour and written in child-friendly language, this book will be a wonderful resource for children, particularly children with autism, their parents, teachers, carers and siblings. This is a great website for families and siblings that are dealing with specific drug and alcohol use. There is a great section on fact sheets, as well as a self paced tool kit for siblings to work through. A NGO focused on children’s grief support. There is awesome information about support siblings as well as information about support children of all ages when they are going through grief. Based out of New Zealand. Kate is amazing! She has a wealth of information and resources to support siblings. She is a sibling herself and is aware of the crucial yet delicate role they play in a child with a disabilities life. Sibworks is an amazing program and we would recommend training in it if you have the change! This is an American organisation but has a great list of places to look at and get support both online and in person! There is also a great "Recommended Reading" list.